The flexibility, near invisiblity and ultra-high abrasion resistance is a set of properties carp anglers prize. Berkley Pro Anglers tested the line and were amazed about the skillset of this new fluorocarbon mainline and recommend it to all carp specialists. This is without any doubt a fantastic new line that will change your way of fluorocarbon use for ever! Part of a specific range of fishing lines built by Berkley's developement team to the exacting specifications of Berkley Pro Anglers and dedicated to carp fishing! New production development made it possible to create the best fluorocarbon mainline. This is recognized by carp anglers and now with a specific and dedicated range for carp fishing fluorocarbon becomes a choice for specialists all over the world. 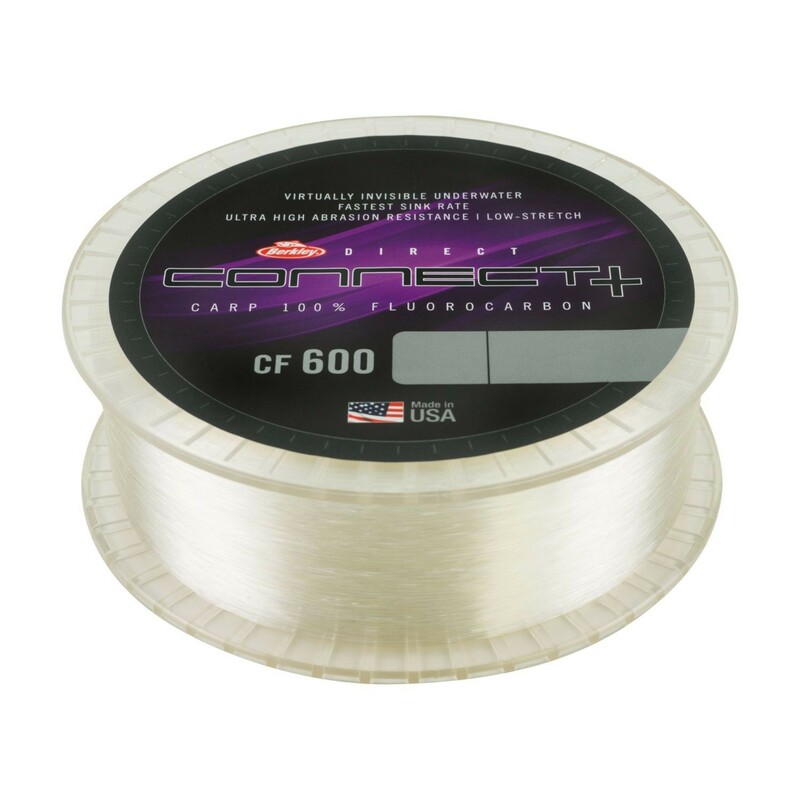 In the direct connect range there are mono, fluorocarbon and braided lines to choose from. 18lb breaking strain - 12.60kg, 1200m spool, 0.40mm diameter. 15lb breaking strain - 11.30kg, 1200m spool, 0.38mm diameter. FREE Delivery on all Berkley Mono Mainlines over £100!! !